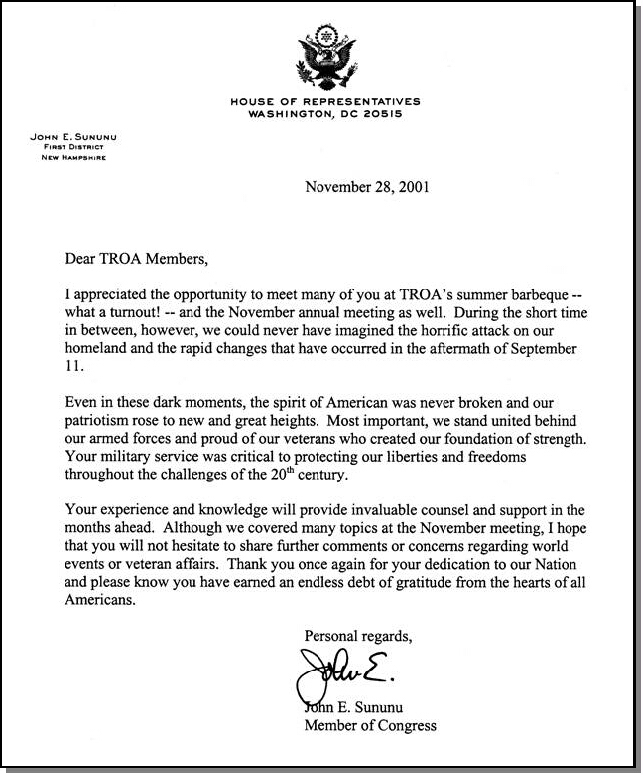 Congressman Sununu’s letter above is being reprinted here as we would any other letter received from a guest speaker at one of our program functions, and should not be construed as an endorsement. TROA is not a political organization. With that caveat, however, we do appreciate the time and effort that Congressman Sununu has expended in attending our functions, listening to the concerns of members and keeping the lines of communication open.